Photo copyright Millennium Hotel Rotorua. Next to mystical Lake Rotorua and just a brief stroll from the city centre, Millennium Hotel Rotorua is an eco-friendly destination. From here, experience Rotorua’s rich history, explore the thermal hot pools or the native bush, and even squeeze in a round of golf at one of Rotorua’s international golf courses. Our 227 rooms and suites feature residential-style decor with views of Lake Rotorua or the native garden. We also have accessible rooms for guests with special requirements. 7 meetings and event spaces are available and ideal for up to 400 people. Perhaps the most unique feature here is its heating, provided by harnessing the hotel's natural geothermal resource. Take a dip in our heated pool or relax under the expert hands of our Spa therapists. There's free off-street parking, child-friendly facilities including a toddler pool, and a Business Centre that offers full secretarial services. 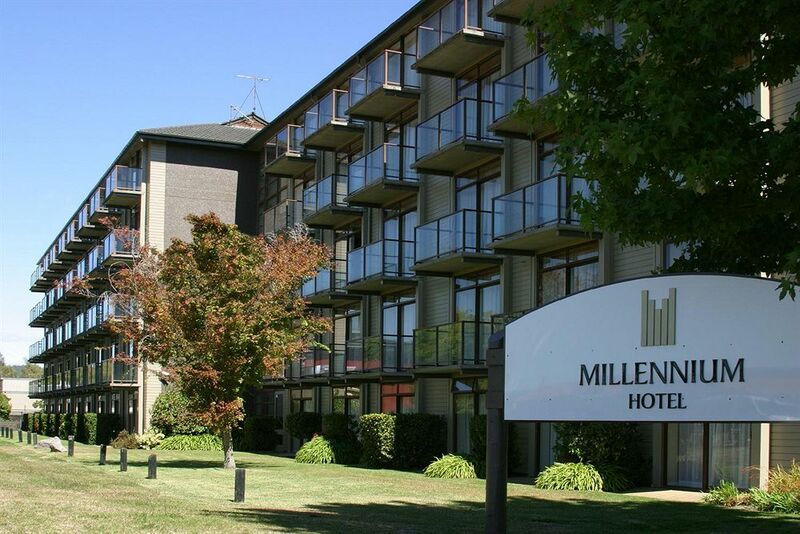 Millennium Rotorua is a Qualmark 4 Star Plus rated hotel with an Enviro-Silver status for its sustainability practices. The hotel is also a member of the Rotorua Sustainable Tourism Charter.